How a female veteran unshackled the past. Watching a young woman reveal an intimate secret on-camera that she guarded tightly for 17 years is a powerful, eye-opening experience. A viewing ride that will make anyone watching laugh, cry, and be filled with an abundance of pride and joy. I’m so happy I was able to give Eloisa, an army veteran from Houston, a platform to embrace her true essence. You see, Eloisa was tired of hiding and being inauthentic to herself. In the documentary, “This is Me,” produced by my production company Madlen G. Productions, Eloisa reveals an important part of herself to the world. The 25-year-old unveils that she has alopecia — an autoimmune disorder where the immune system attacks the hair follicles causing hair loss on the scalp, face, or the entire body. Those who watch the documentary, premiering at the GI Film Festival Memorial Day Weekend in Washington, D.C., will experience the beauty of how vital it is to live your truth. 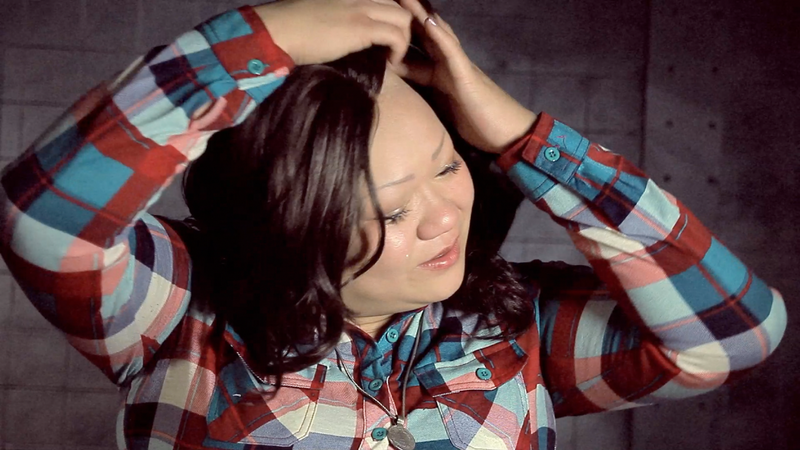 When I first met Eloisa in 2014, I had no idea what alopecia was, let alone that it affected 6.8 million people in the U.S. After learning more about Eloisa and her bold decision to share her story with the world, we decided to create a documentary. Eloisa was incredibly nervous when we began filming, but I knew her story would inspire a multitude of individuals with similar experiences seeking solace. I saw the fear in her eyes leading up to the moment where she’d finally divulge her secret on-camera and remove a tangible piece of her body, which had consumed her identity. She purged all the years of shame, anger, resentment, and bullying she’d endured. It was a cathartic release. I finally saw the sparkle and hope in her eyes. At that moment she had chosen to break free. To unshackle from what had defined her existence for nearly two decades. Eloisa taught me that many of us hold onto the past and allow it to overshadow our light. She taught me the importance of being true to yourself. I’m certain “This is Me” will provide viewers with a similar message. Eloisa has embraced what she previously considered an ailment, since wrapping the documentary. She now experiences freedom, inner peace, and love. After the premiere of “This is Me,” there will be a Q&A session with myself and producer George Ohan. The screening is Saturday, May 27 at 12:30 p.m at the U.S. Navy Memorial Theater. Madlen G. Productions is an in-house production company dedicated to telling stories that inspire and change lives.